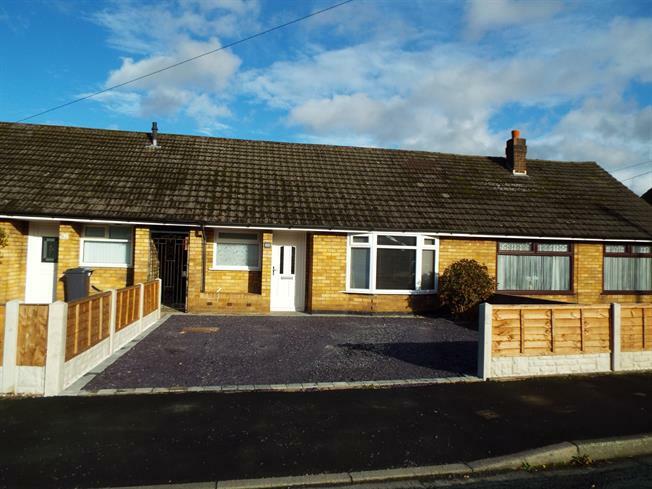 1 Bedroom Terraced Bungalow For Sale in Preston for Offers in the region of £125,000. TRUE BUNGALOW, BEAUTIFULLY PRESENTED, LARGE LOUNGE, GARAGE Stunning garden fronted true bungalow situated in a sought after location off Duddle Lane, entrance hall, large lounge/dining room, fitted kitchen, good sized double bedroom, modern white bathroom suite, low maintenance front and rear gardens, driveway providing off road parking for several vehicles, separate garage perfect for storage.. Entrance hall with laminate floor. Built-in storage cupboard. Loft access housing gas combination boiler. Door leads to Lounge/Dining Room. Superbly presented Lounge/Dining Room with double glazed bay window to the front elevation. Laminate floor. Door leads to Kitchen. Well designed modern fitted kitchen with a range of wall and base units with complimentary work surfaces. Inset 1.5 bowl single drainer sink unit. Built-in electric oven and four ring gas hob and chimney hood houses extractor fan with light. Space for fridge/freezer. Space for washing machine and space for dishwasher. Glass display unit. Slate tiled floor. LED spotlights. Double glazed window to the rear elevation and double glazed door gives access to the rear garden. Generously sized double bedroom. Double glazed window to the rear elevation. Elegant white bathroom suite consisting of panelled bath with thermostatic shower and glass shower screen, pedestal wash hand basin and low level WC. Heated towel rail. Tiled floor and part tiled walls. Double glazed window to the front elevation.